Skillfully executed the most diverse requirements! Restoration craftsman Paul has the ability to restore and being creative to change your outside teak wood or oak furniture into a new state. With the years of experience also in the antic Furniture world in West Europe, Paul is able to perform an excellent work! What is teakwood and is why is teakwood furniture such a special investment? Teak is a genus of tropical hardwood trees of the Verbenaceae family. 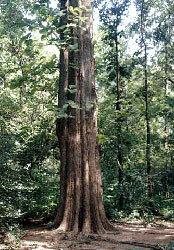 It can be found in southern Asia and can grow up to 40 meters tall. These types of trees lose their leaves in the dry season. Teakwood can be categorized into three parts: common teak, widely distributed in India, Dahat teak which is found in Myanmar and Philippine teak, found in the Philippines. 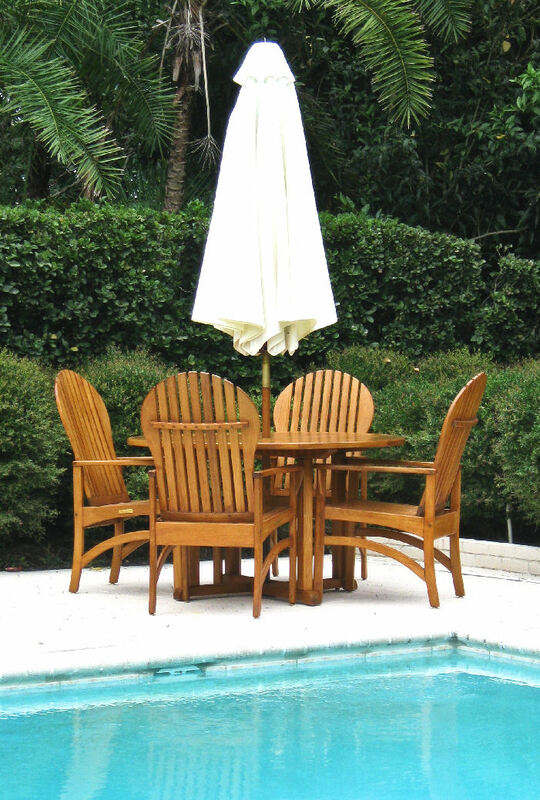 Teak furniture is often used in the making of outdoor furniture. One quality that makes teakwood unique is that, in its healthiest state, it is weather resistant. Teak is also easily worked and has natural oil that allows the wood to be worked with even in exposed locations. The best quality teak comes from old trees that have grown slowly in natural forests. In these cases, the teakwood is harder and more durable. On the other hand, teakwood that has been taken from very young trees has the tendency to split or to discolor due to water damage. Teakwood is also a wood known to be exceptionally resistant to termites. ...makes beautiful contributions as patio pieces to a home. Some popular designs for teak include doors and window frames, sofas and chairs and columns. Teak is increasing in popularity in the modern age and remains one of the most searched-for kinds of vintage furniture. If you are looking for genuine teak furniture or teakwood restoration services then you won't have to look far. Teak remains one of the most beautiful specimens of tree in all the world! First, begin by washing the teak-wood piece with little soap and water. (Only when they are sealed with high quality varnish, not with 'Teakwood-oil) This gets rid of the oxidation as well as the dirt on the surface. Dry the wood overnight. Next, sand the wood with fine grain sandpaper. What kind of grit is recommendable? 320 grit is an adequate choice. After sanding you will notice that the original color of the teak will start to return. Layers of dirty and oxidation have a way of hiding the color! Remember to sand lightly to avoid scratching and follow the direction of the grain when you sand, not against the grain. Before Teak-specialists might treat the wood with sealer, it may have to go through a chemical process, to ensure that mildew and gray coloring is complete removed! After sanding, and after a significant color change, use a dry cloth or brush to wipe away any residue from the wood. The wood must be 100 % clean before you continue on to the next step, which is NOT to apply the teak oil, but with a special sealer, such as Cetol Marine Natural Teak -Varnish! How many coats should be applied? I prefer 3 coatings of varnish with a processing of drying & harding of 24 hours each; applying with right temperature and dry conditions. The first layer of varnish is a 50%-50%-combination with paint-thinner, so this first coat can saturated deeper into the wood. You will see a light darkening of the natural teak-wood color, which will change slightly, but in a more impressive outlook after the coating. 1. After the oil becomes dry you should clean the surface oil off of the wood, which will affect the color more and more darker since that oil has already penetrated into the pores. 2. By the slightest water contact you will see permanent effects on the wood. 3. If maintenance is necessary, such as sandpaper , it is very difficult to remove the layers of old oil, even by using the yellow product that should remove the oil. It is like a wax that is penetrated in the wood. It will be a lot more work to restore! ...from “Sikkens” with Next Wave™ advanced UV-absorbing technology is a durable translucent protective wood finish for use on interior and exterior woods. Cetol Marine Light will produce a lighter amber appearance on wood. Natural Teak has a rich golden color on wood. The gloss is a hard-wearing high gloss with UV protection and easy to clean finish and is developed as a topcoat by applying "Cetol Marine Natural Teak". Leaving Teak-wood Outdoor Furniture unattended...! Remember that leaving teak unattended and open to damaging weather conditions can erode the quality and color of the wood, while ignoring steps in the teakwood care process (especially clean up and drying) can result in the gray color returning. Oxidation happens when poor quality oil (???) is used and when the oil (???) fails to penetrate deeply beyond one coating. You can take these simple steps to restore the color in your teak. After all, underneath all of that dust, oxidation and wear is a wonderful piece of vintage teak furniture just waiting to shine! That's why Natural Teak has a rich golden color on wood. The gloss is a hard-wearing high gloss with UV protection and easy to clean finish and is developed as a topcoat by applying. It is also important how you apply this varnish on the surface! With the years of experiences by mostly in Tampa - Orlando (Mid-Florida) area I realized several projects concerning Teakwood out-door furniture This kind restoration is an intensive, careful & chemical devotional project. With applying high Quality Cetol Marine Light varnish the original natural the teak wood color will come out just beautiful! I am repairing & restore them carefully, resulting in a better than new state condition. The experiences I also have from my past in West-Europe, to restore Antique furniture, which was more than 100-years old and older! If you own outdoor teak furniture, a wood deck, gazebo, or any other exterior wood surface, and have noticed changes in their appearance, you are probably wondering what can be done to restore it and keep it in its original condition. Your questions are not uncommon to Paul as clients have sought out Paul to address their concerns! Paul will accommodate as much as possible to have the solutions. Also for other kind of wood! *You can cover the outdoor Teakwood with a cover like you can apply for cars, in times you are not using it. The covers itself can be with nice designs. You need to have proper ventilation! Many varieties do not provide proper ventilation and can make the teak-wood susceptible to mildew growth. *Place it on a covered patio protected from most weather issue's. By keeping these simple 'rules', your exclusive furniture will stay much longer in good condition! © Please respect the copy-rights! (Pictures are edited) Not all illustrations are from the same source!